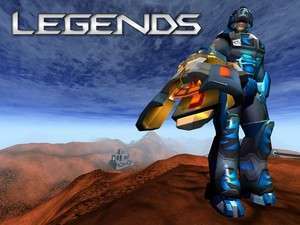 Legends is a freeware online multiplayer game with many servers available for users interested in the community. This free game centers around a 3D environment taking place in the future. The game actually upto several concurrent players to join and offers graphics suitable for slower Internet connections. Legends offers several different gaming modes from Capture the Flag, Team Deathmatch and other hybrid gaming modes. Version 0.4.2.0 is a freeware program which does not have restrictions and it's free so it doesn't cost anything. For security reasons, you should also check out the Legends: The Game download at LO4D.com which includes virus and malware tests. Additional screenshots of this application download may be available, too. Legends: The Game has a presence on social networks.